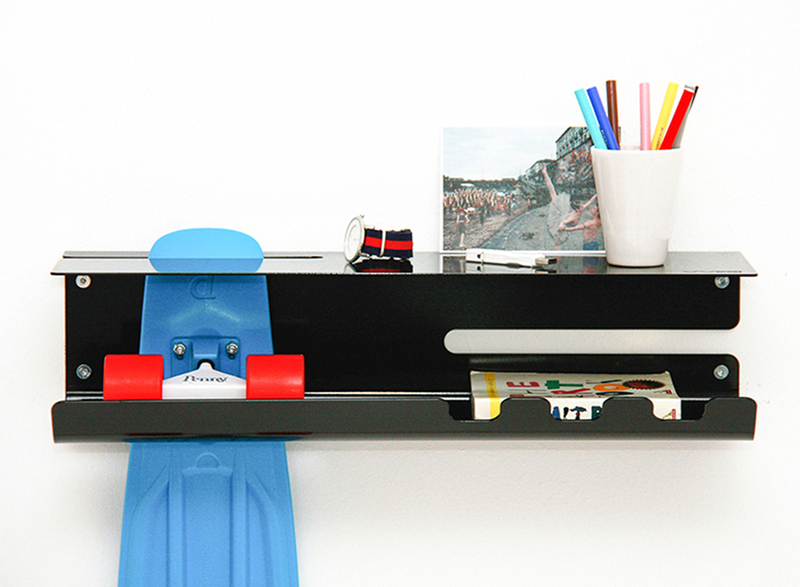 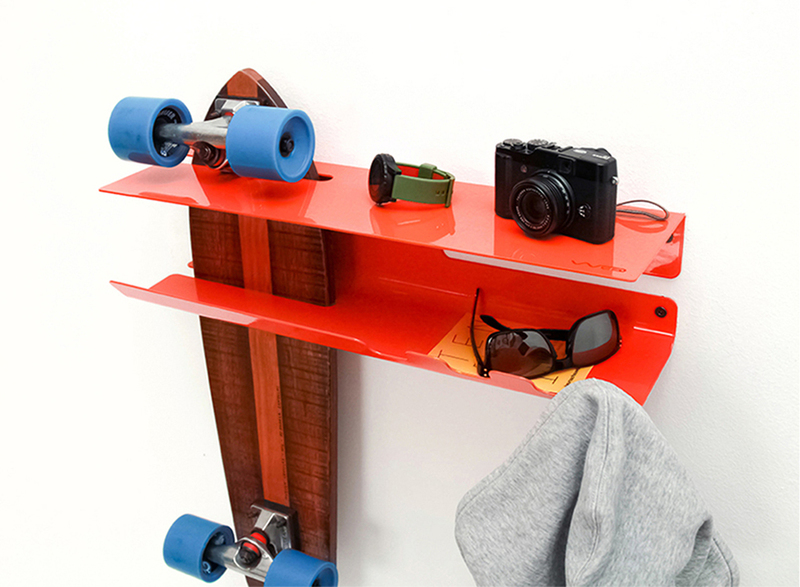 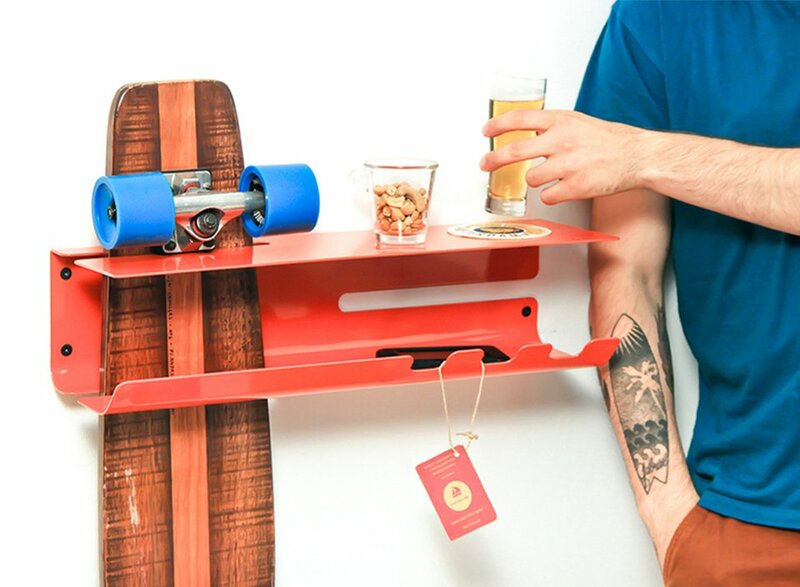 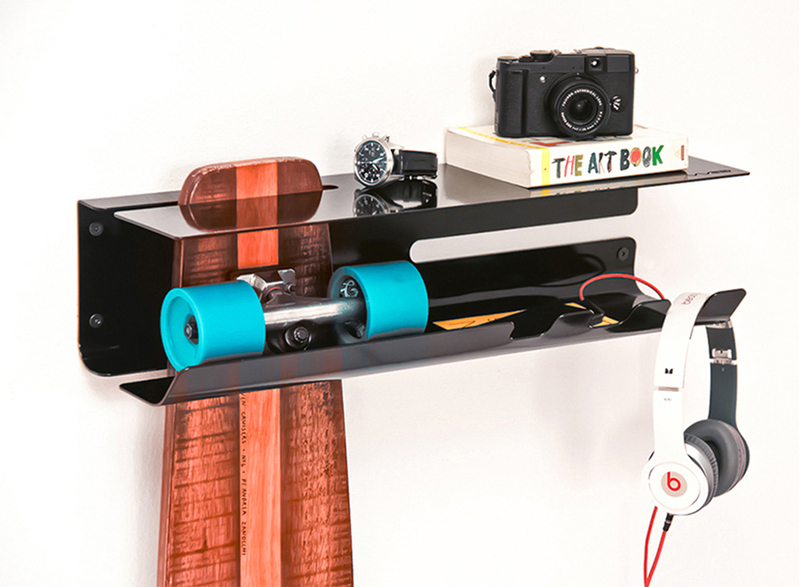 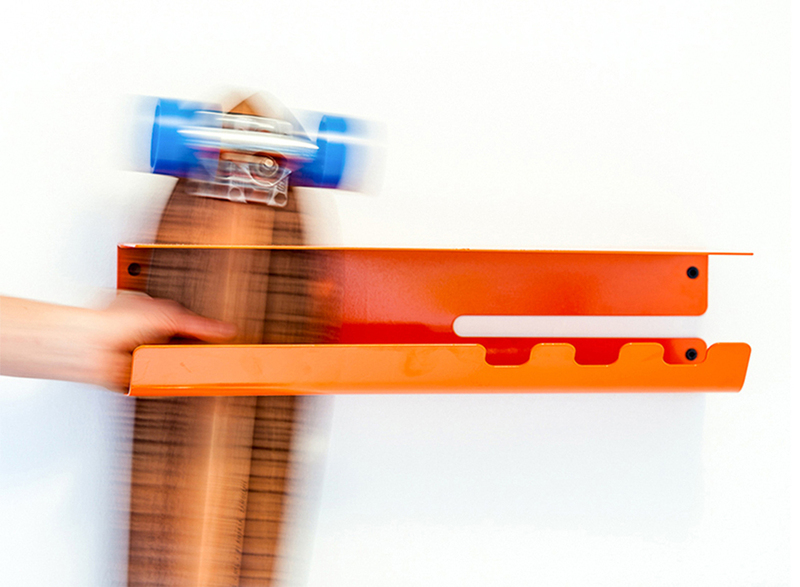 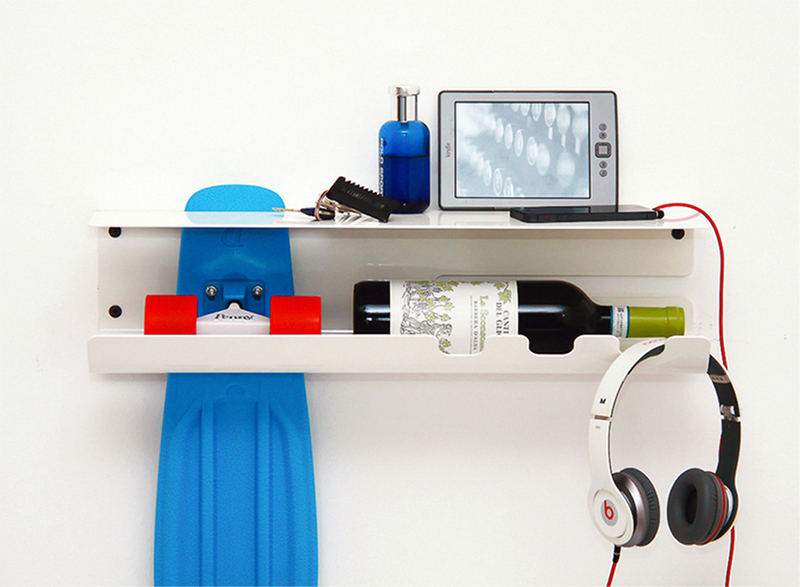 Zanocchi & Starke’s Wall Ride is a wall-mounted shelf with a built-in skateboard rack. 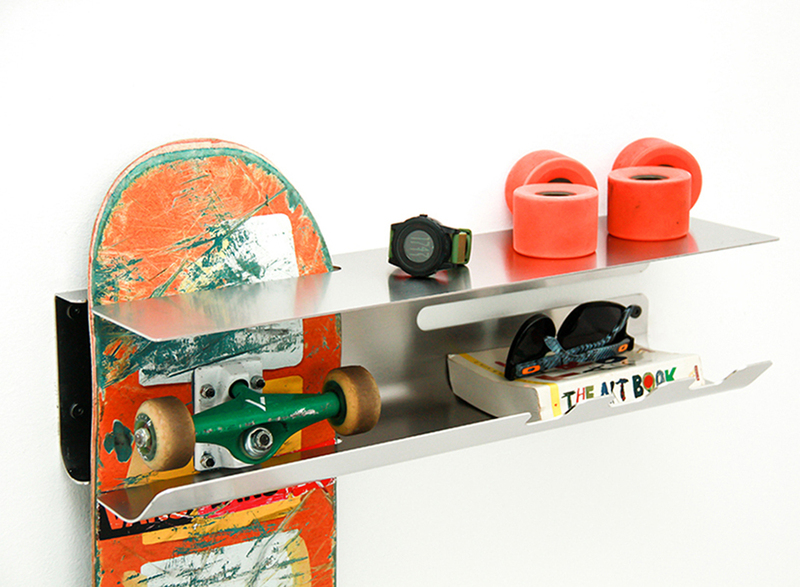 It lets you store a skateboard while displaying the graphics underneath the deck. 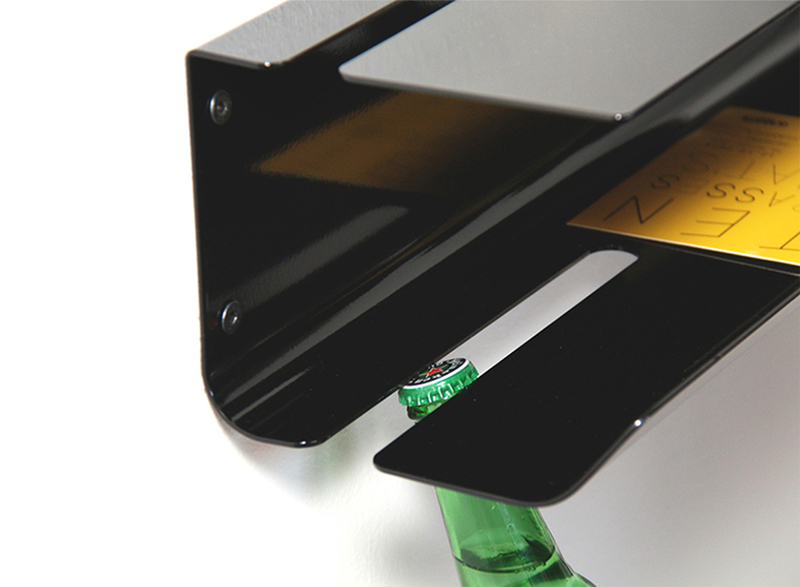 Like all good things, the rack also doubles as a bottle opener.